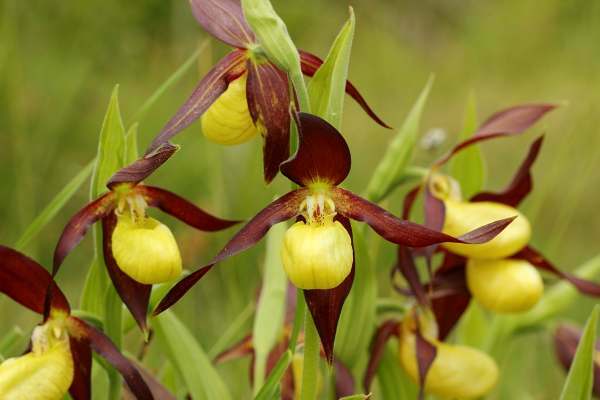 The Lady's Slipper Orchid was recognised as a native European species in 1568, and the earliest record of a British plant is of a dried herbarium specimen from 1640, collected from the Ingleton area in Yorkshire. Although still widespread in some parts of Europe, the Lady's Slipper Orchid was always a rarity in Britian and consequently highly prized by plant collectors who, from the mid-18th Century, collected the plants with such ruthlessness that by 1888 great concern was being expressed at the disappearance of the Lady's Slipper Orchid from the wild. Regrettably the population continued to decline, resulting in its declared extinction by 1917. In recent years a re-introduction programme has been carried out at Gait Barrows National Nature Reserve in Lancashire. This programme which is jointly funded between Natural England and the Sainsburys Foundation has been very successful and there are now many flowering plants which can be visited by the public. The best time to see this orchid at Gait Barrows NNR is in the first half of June. 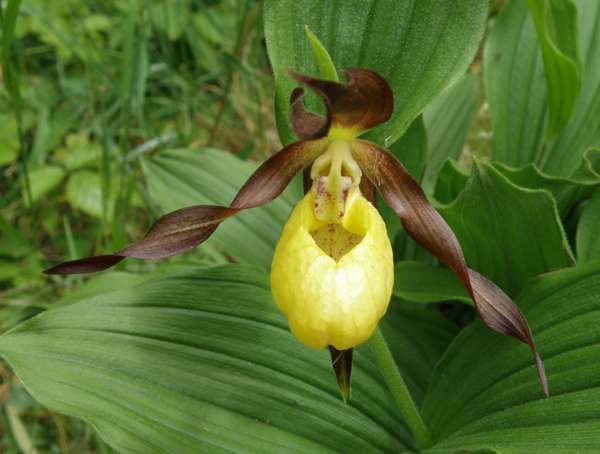 Although driven to the brink of extinction in the UK the Lady's Slipper Orchid still occurs in the wild in various European countries including Sweden, Bulgaria, Slovenia, France, Switzerland and Finland. 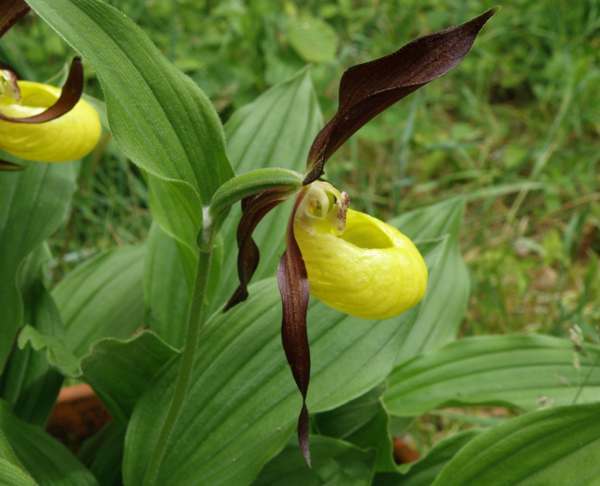 The Lady's Slipper Orchid is rare and in decline in all its territories and is still the subject of plant theft. The plants shown on this page were photographed in Sweden and in Gait Barrows National Nature Reserve.